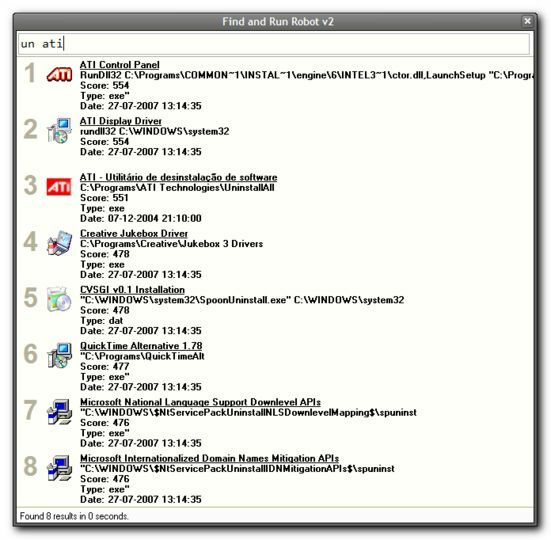 Find and Run Robot (FARR) is a program for keyboard maniacs -- it uses an adaptive "live search" function to rapidly find programs and documents on your computer as you type. 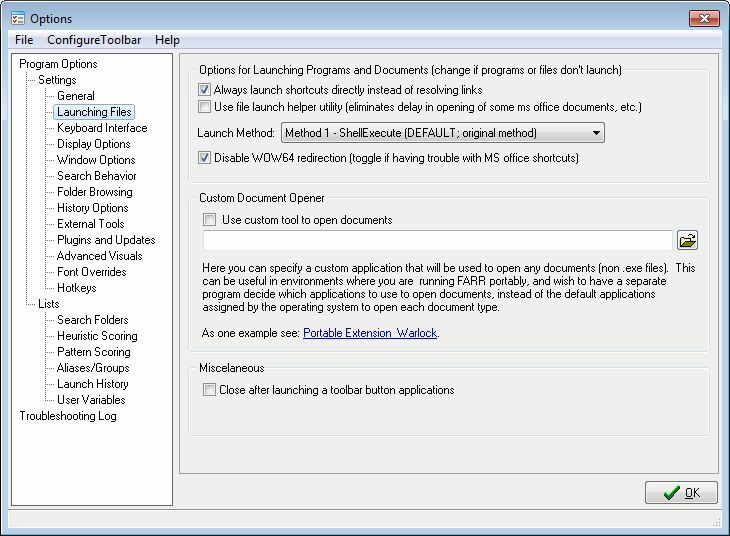 FARR also lets you quickly run web searches, send email, manipulate files, control on-screen windows, and much more. 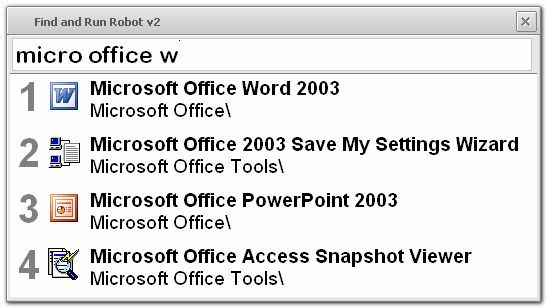 Build and share custom commands or install plugins to add tons of new features, like live search features for your clipboard history and your internet bookmarks; a popup a calculator with history tape and persistant variables; and many more..